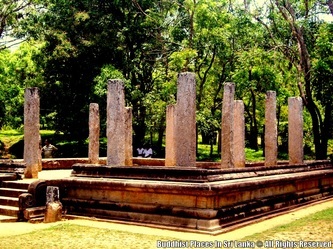 Sandakada pahana, also known as Moonstone, is a unique feature of the Sinhalese architecture of ancient Sri Lanka. It is an elaborately carved semi-circular stone slab, usually placed at the bottom of staircases and entrances. 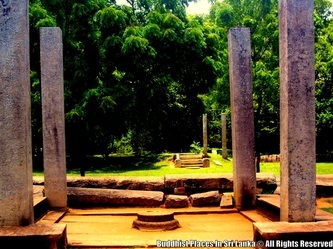 First seen in the latter stage of the Anuradhapura period, the sandakada pahana evolved through the Polonnaruwa, Gampola and Kandy periods. 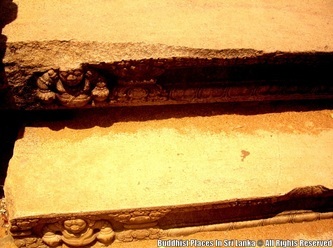 According to historians, the sandakada pahana symbolises the cycle of Sansāra in Buddhism. 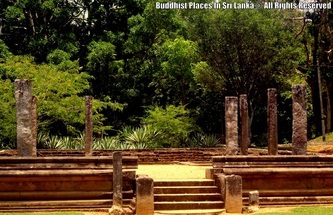 Known in Sinhalese as sandakada pahana, it is roughly translated into English as moonstone. 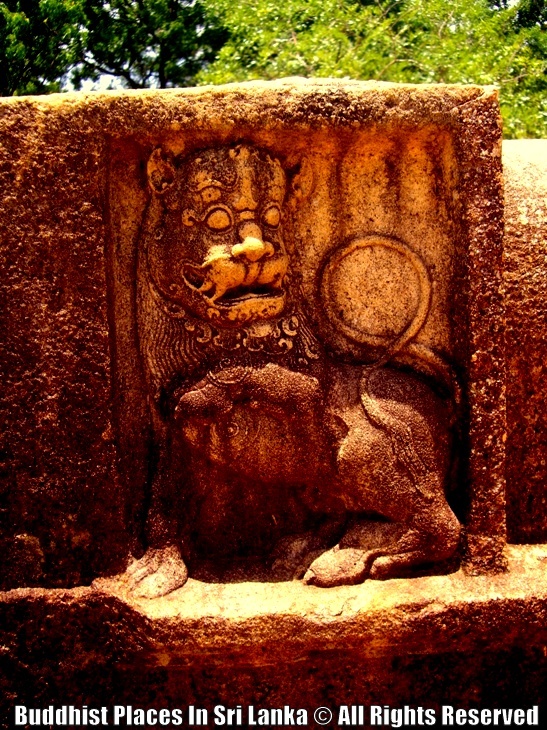 The name is based on its shape and design. 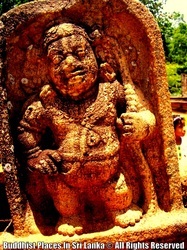 The ancient chronicle Mahavamsa and Pali literature such as the Samantapasadika refer to the sandakada pahana as patika. 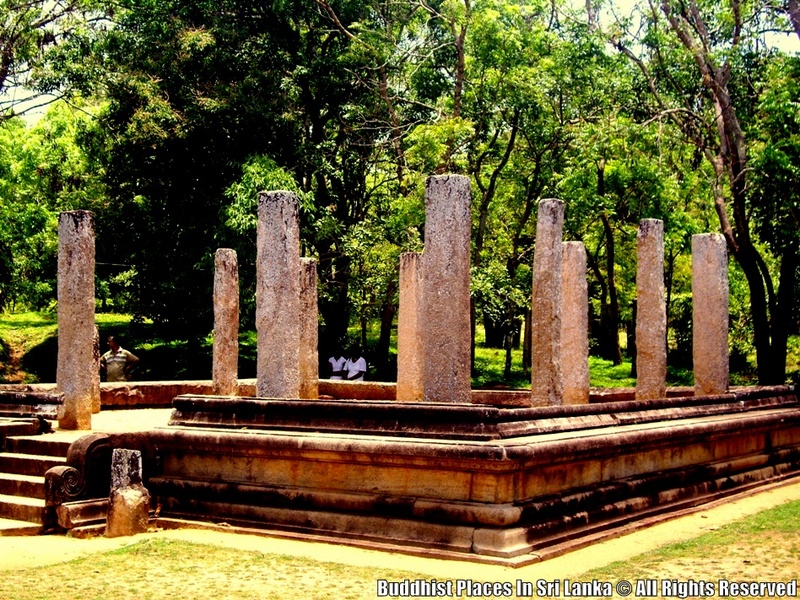 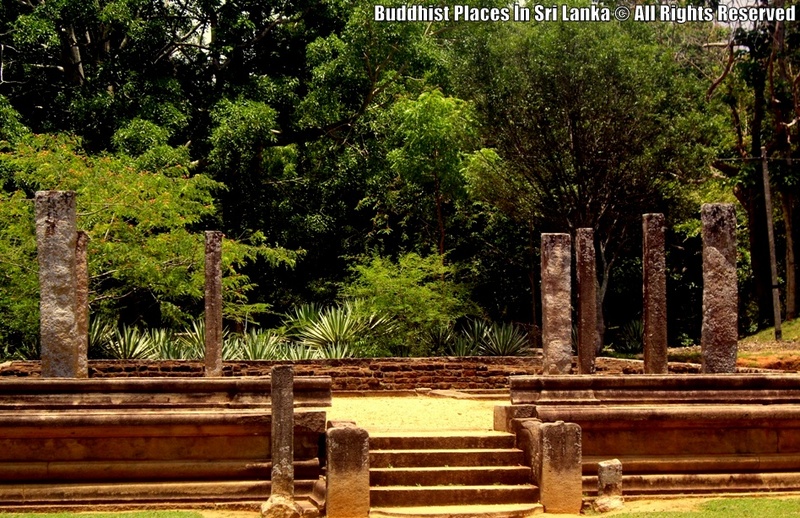 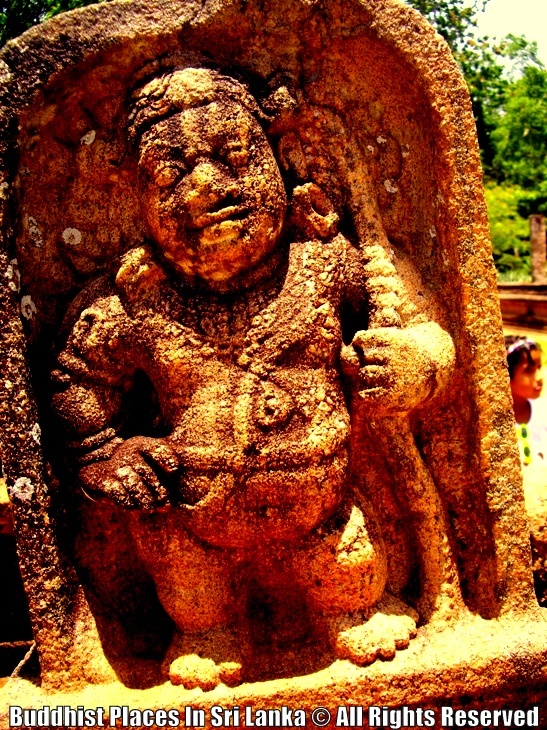 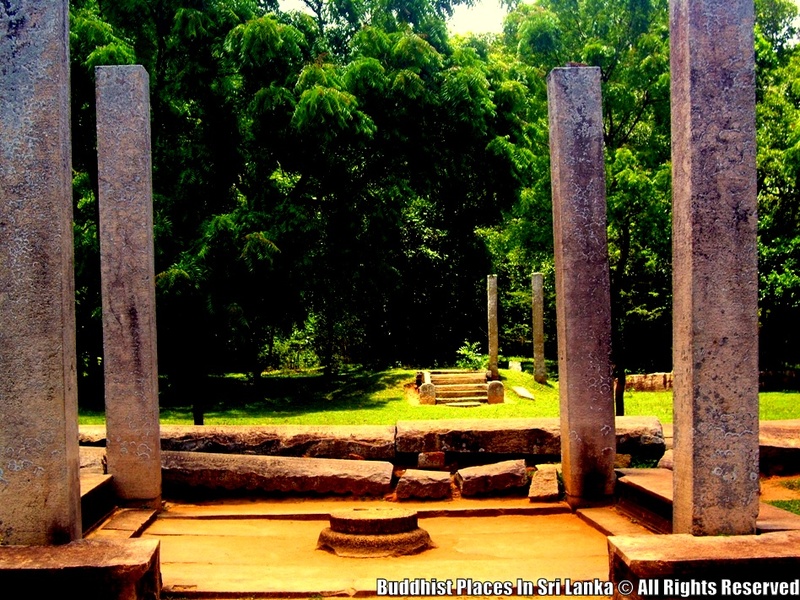 The first sandakada pahanas were created during the latter stage of the ancient Anuradhapura Kingdom. They were only placed at entrances to Buddhist temples during this period. 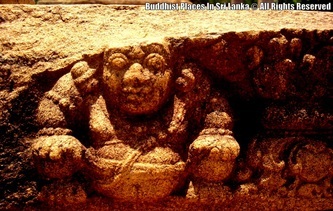 The carvings of the semi circular stone slab were the same in every sandakada pahana. 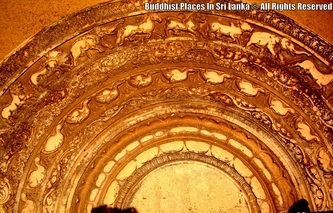 A half lotus was carved in the center, which was enclosed by several concentric bands. 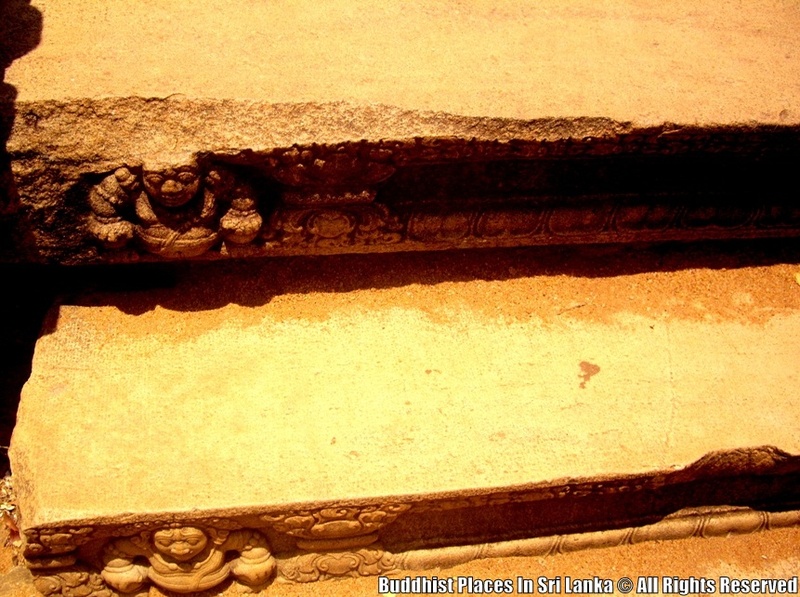 The first band from the half lotus is decorated with a procession of swans, followed by a band with an intricate foliage design known as liyavel. The third band has carvings of four animals; elephants, lions, horses, and bulls. 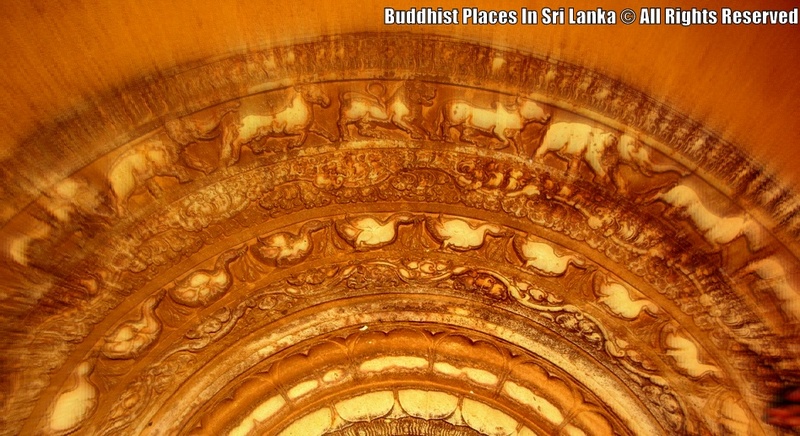 These four animals follow each other in a procession symbolizing the four stages in life: growth, energy, power and forbearance. 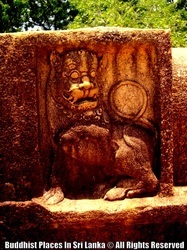 The fourth and outermost band contains a carving of flames.